I think I've becoming a little bit more disenchanted with holiday sets than I used to be. I used to go ham and put every single one on my wishlist, but that's not really the case anymore. In order to get me to want to spend my money, a holiday release either has to be a really great value set or it needs to be an incredibly interesting and unique product. 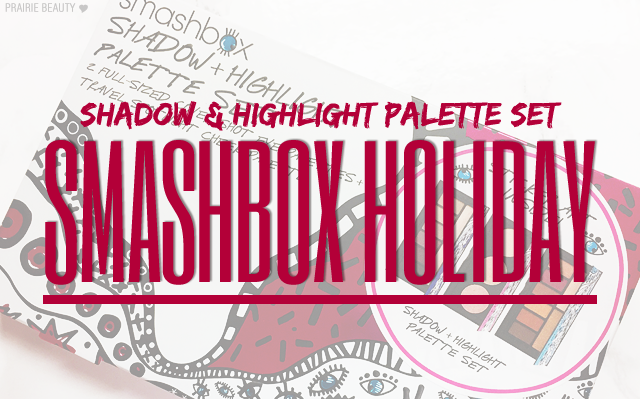 The first one that really grabbed me this year and had me setting an in stock alert over on Sephora was the Smashbox Drawn In. Decked Out. Shadow + Highlight Palette Set. As soon as it was in stock, it was in my cart and ordered. 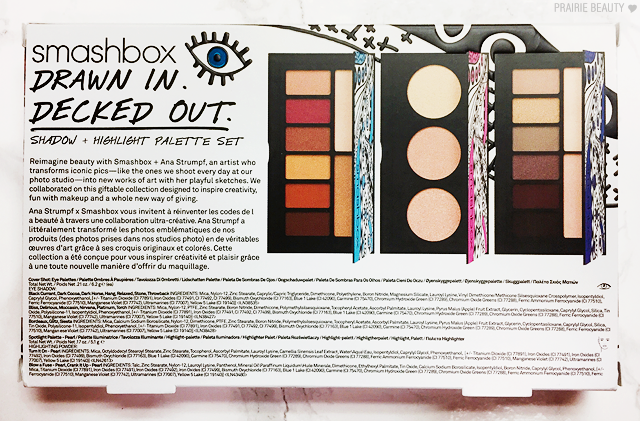 This set contains a travel size of the Smashbox Spotlight Palette in Pearl, the Cover Shot Eyeshadow Palette in Ablaze, and the Limited Edition Cover Shot Eyeshadow Palette in Sultry. All three palettes have been designed by Ana Strumpf and the set also includes a sticker sheet that would be cute for wrapping these palettes as a gift. Both of the Cover Shot Palettes are full size and contain 6.2g of product total. The Spotlight Palette is Travel Size and contains 5.1g of product total, in comparison to the 8.6g of product in the full size. This set retails for $48CAD and the retail value is $93.78CAD. As much as I really like the fireworks design of the permanent collection of Cover Shot Palettes and I'm not generally so much for cute packaging, I really like these designs. They do have the sort of hologram detail in that they shift when you move the palette, but it's a little bit more subtle to me than the permanent ones. They also have a magnetic closure, which I like, but I have to say I'm not a huge fan of the hinge on these palettes. It's hard to get it to stay open and I feel like pushing and holding it open will wear out the hinge faster than I'd like. Still, I'm not mad at the packaging overall and I like that each palette has quite a good mirror. I have to say, I really think that this set was really well curated. 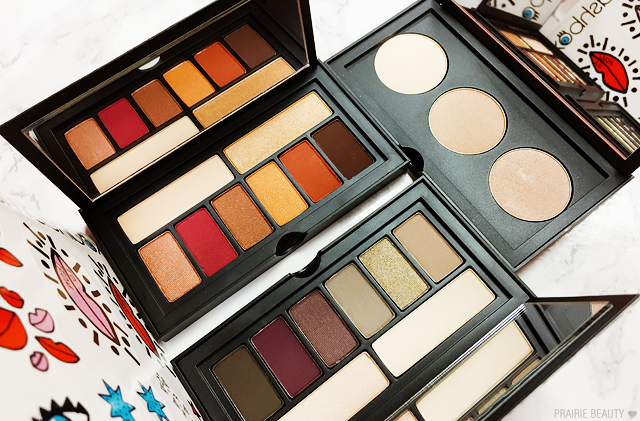 Each eye palette brings something really different to the table, with the Ablaze Palette bringing the really on trend warm shades and the Sultry Palette bringing smoky and very neutral shades. The highlighter palette is the lighter of the two shade options that the brand offers, but I still think that these shades will work for a lot of people and won't be too dark for fair skinned girls like myself. I feel like when you look at the three palettes in this set next to each other, it just really makes sense and I really don't feel like anything is missing. I have to admit, there hasn't really been a ton of Smashbox in my collection up until now, so I wasn't really familiar with the formulas of their powder products and wasn't really sure what to expect. Overall, I'm really impressed with the textures and performance of both the shadows and the highlights in this collection. I mean... These shades are gorgeous, right? The curation on this palette is almost perfect, in my opinion. The only change I would have made would have been to make Torch, the orange shade third from the right, a matte rather than a shimmer. Other than that, this palette is stunning and performs beautifully on the eyes. Both the matte and shimmer shades have a smooth, creamy texture that really clings to the lids and the mattes really blend beautifully. This palette definitely stands out and hits right on the current trend of really warm eye looks - perfect for fall! I really do think that this palette was well chosen for this set, though I don't think it's perfect. Turn It On is a really gorgeous pale champagne shade that works well on my skin tone and I think would suit a lot of fair to light skin tones. Crank It Up is a more golden champagne shade that is a little too dark for a highlight on me personally but that I think would work well on medium and possibly deep skin tones. The only shade that I don't really love in this palette is Blow A Fuse, which is the only shade with microglitter in it. It has a similar tone to Crank It Up, but is a little bit lighter and packs more shimmer than it does pigment. I will likely use the two deeper shades as eyeshadows and stick to the lighter one as highlight personally, but I do think that most people will be able to use one of these shades to highlight. 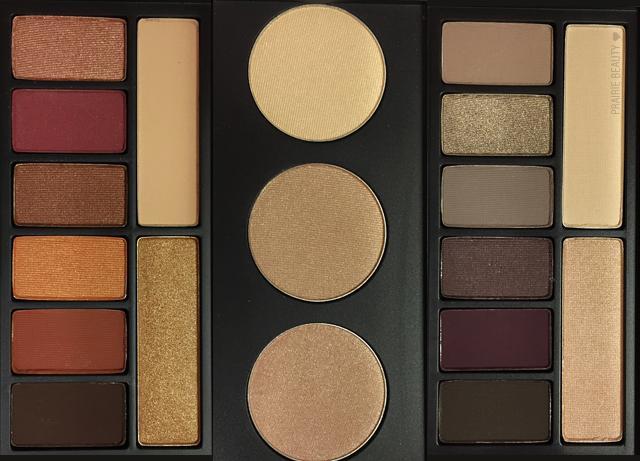 The only limited edition palette in this collection, Sultry is a really gorgeous neutral smoky palette. Of the two eye palettes, I think this is the more universally wearable - and therefore perhaps might feel a little boring. I personally feel like this is a solid palette to have in your collection though. I've used this for a smoky eye look, a barely there look, and a simple contoured eye look and I think each look is really solid. I also like that the deep plum shade actually holds up and doesn't pull too grey when applied, because that can be a really tricky thing to formulate and I know we've all seen it go wrong in other palettes. Again, I think these are really beautifully pigmented and blend really well on the eyes. Overall, I really think this holiday set is a great buy. 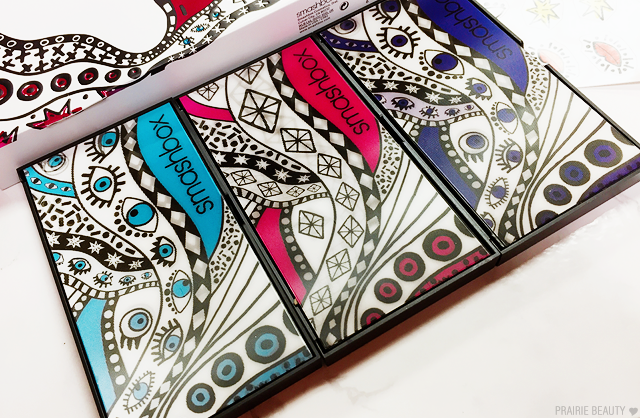 The quality is good on all three palettes, they're all palettes that I can see myself reaching for frequently, and it's a great value. This would also be a great palette to separate and gift individually for different types of makeup lovers in your life - always a good thing from a set like this. 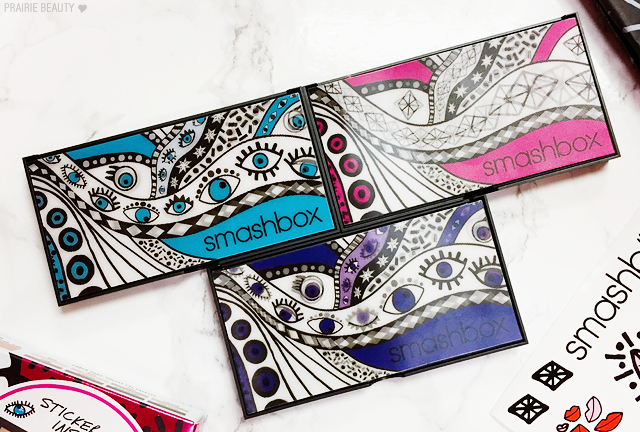 The Smashbox Drawn In. Decked. Shadow + Highlight Palette Set is available now and if you're interested in it, I would highly recommend grabbing it while you can because I think this is one that'll go quickly! Thanks for reading! If there are any other holiday sets you'd like to see featured on the blog, let me know in the comments!